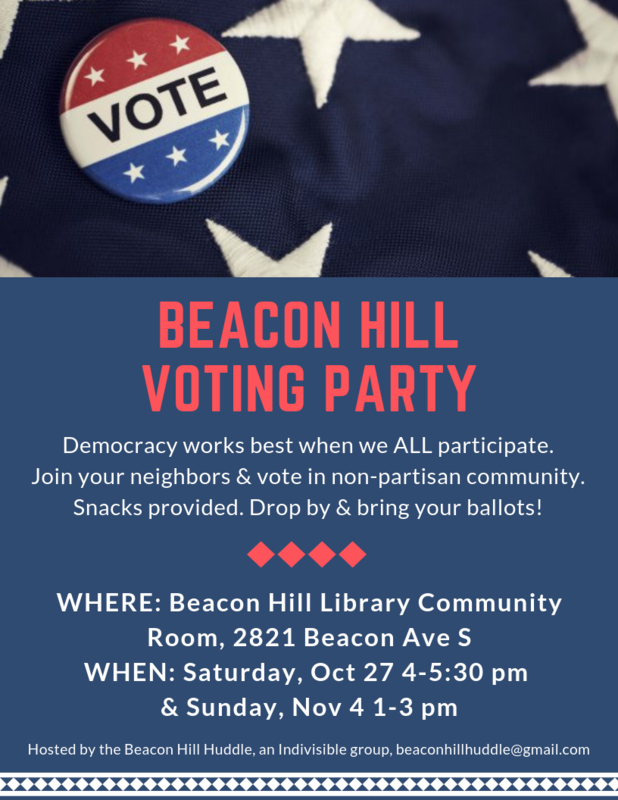 Join my local political group for our voting parties! No need to RSVP, just show up and bring a friend or five. Get registered and check your voter registration, WA friends! If you aren't registered to vote, the deadline for online or mail-in registration is Monday, October 8. I took voter registration training recently, and here are some common obstacles to registering to vote. — To register in WA, you only need to meet 4 qualifications: 1) be a US citizen; 2) be age 18 by election day; 3) be a resident of WA; and 4) not disqualified by the courts (always check on this, if you think this is an issue for you, WA is liberal here). — Registering to vote takes approximately 1 minute. — If you don't have a WA state ID, in the mail-in form, you can use the last four digits of your Social Security Number. — The WA state voting guide comes in English, Spanish, Chinese, and Vietnamese languages. King County offers all those and Korean for local elections. — If you've moved recently to WA, make sure to update your information to where you moved. This is important so you get the right issues and representatives for where you live. — You can receive your ballot anywhere. Even outside of WA state or overseas. Your mailing address must be somewhere you can receive mail. — If you're a college student, you can choose to vote in WA with your college address as your resident address (what you vote on) OR choose to vote wherever you came from (in- or out-of-state). — If you are experiencing homeless in WA, you can vote! You must have somewhere the ballot can be mailed to (PO General Delivery Mail, friend's house, food bank, shelter, other service), but your residence can be the intersection of two streets, shelter, city park, etc. — If you are someone who needs address confidentiality (victims of domestic violence, etc. ), you can vote! The WA Secretary of State offers address services for voting and many other things. — Most WA people who've committed felonies, served their time, and finished parole can vote. You must re-register. The ACLU provides resources on this, if you are unsure. — If you are overseas or in the military, you get extra time to vote! — If you're registered, check to make sure it's still active! If you haven't read The Hate U Give, I highly recommend it. My conference was last week, and this was the final promotional post about it. We sold out! A very special guest review by Tawny Rose Case! 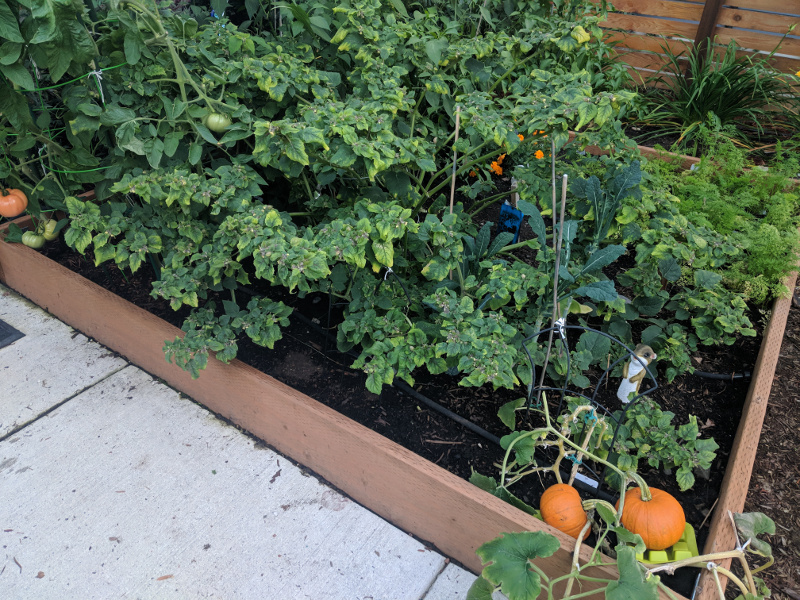 Fall garden cleanup has begun. My 9 and 1/2 foot sunflower is starting to bloom (smh). 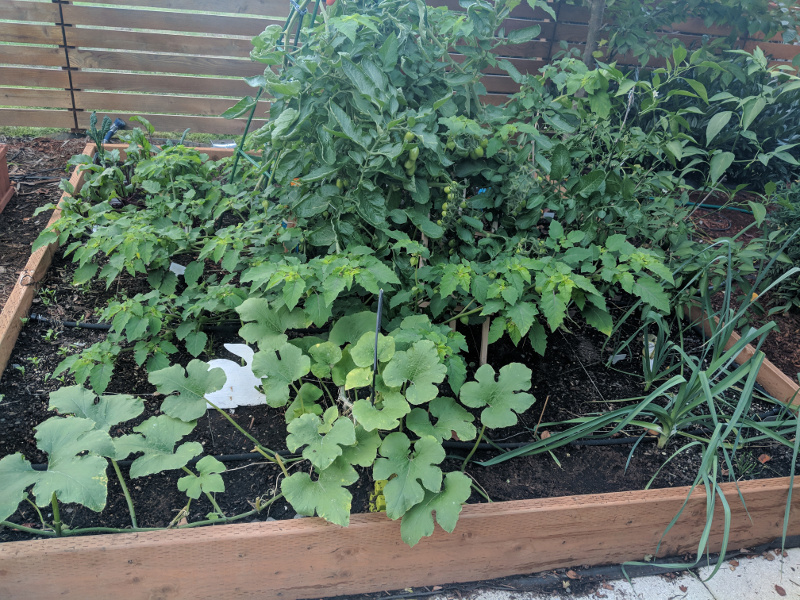 Just some garden bed photos for the moment. That's all I got, friends. Do something nice for yourself and take care.